Tiangong 1, China’s first space laboratory, will come to a fiery end. Most decommissioned satellites either burns up over aa ocean or is ejected to a far-off orbital graveyard, but the 8-ton Tiangong 1’s end is shaping up to be something very different. Chinese officials reported during a Sept. 14 news conference in Jiuquan that they had lost control of the station. “Based on our calculation and analysis, most parts of the space lab will burn up during falling,” Wu Ping, a director at China’s space engineering office, said during the conference. A day later China launched Tiangong 2, the lab’s successor, aboard a Long March 7 rocket. Wu added that China is monitoring the space station for collisions with other orbiting satellites. According to Wu most of the debris will not hit Earth, but there is some chance of it happening. larger spacecraft destined for re-entry, usually follow a planned descent. The wreckage that survives re-entry splashes down far from human habitation. About 2,500 miles to the east of New Zealand, for instance, is a patch of the Pacific Ocean informally known as the spacecraft cemetery. Remains of the Mir station and more than 100 other Russian, European and Japanese satellites sit in this area. Although much of Tiangong 1 will disintegrate, McDowell predicted that 200-pound pieces — the tougher remnants of, say, rocket engines — could withstand the trauma of re-entry. Tiangong 1 is currently orbiting the planet more than 200 miles above Earth’s surface. 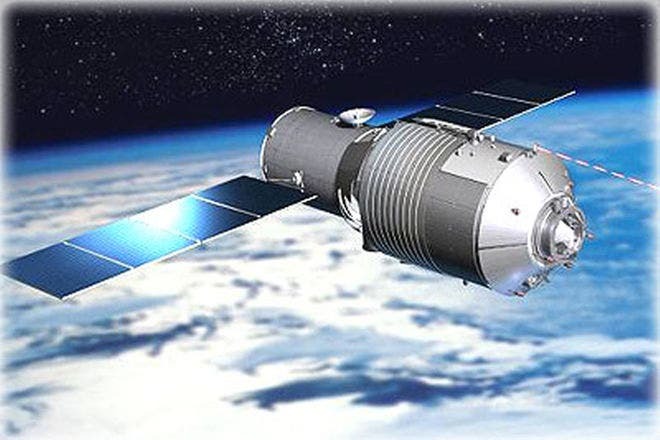 China launched Tiangong 1, which translates to “Heavenly Palace,” in 2011, serving as China’s base of space experiments for roughly 4½ years, two years longer than originally anticipated. The last crewed mission was in 2013, although the station continued to autonomously operate until it was decommissioned in March 2016.